On Android, you will agree that it seems complicated to be completely anonymous, given the astronomical amount of data passing through our mobile devices, even with a VPN. However, Windscribe seems to be doing the job that is required of it. It is a free VPN with very few ads. It offers about ten servers scattered in a handful of countries including France, the United States and Switzerland. 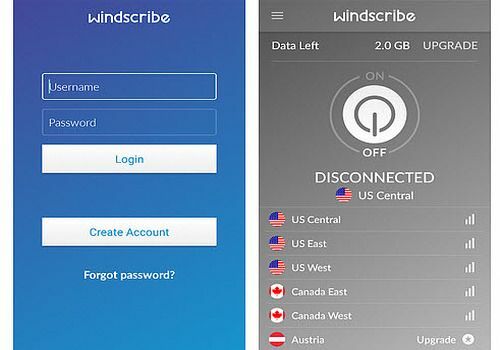 You can use Windscribe VPN for free and without registration but you will only be allowed 2 GB of data per month. If you register for Windscribe for free, you can increase your data volume to 10 GB/month. Norton WiFi Privacy is a mobile application that acts as a VPN. It is able to protect your Internet browsing from your phone and protect your privacy. VPNHub is a VPN application that will allow you to hide your IP address from your smartphone. The easiest to use but not the least powerful VPN for Android.